Michael Williams has been a Georgia State Senator, so we have some experience with him as a Representative. He has always been accessible and willing to listen to constituents. Now he is running for Governor, and has some ideas that we have not heard from any of the other candidates. How much will he be able to accomplish? What are his plans and goals? 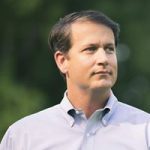 Michael will be at our September meeting in Buford – come and meet him and find out why many conservatives that we respect have made him their first choice.